NSUI members stopped a metro train at the Vishwavidyalaya metro station on Monday demanding concession in metro fare for students. Around 10-15 members of the National Students Union India (NSUI) jumped on the tracks and raised anti-Modi and anti-Kejriwal slogans. They were also demanding metro passes for DU students. 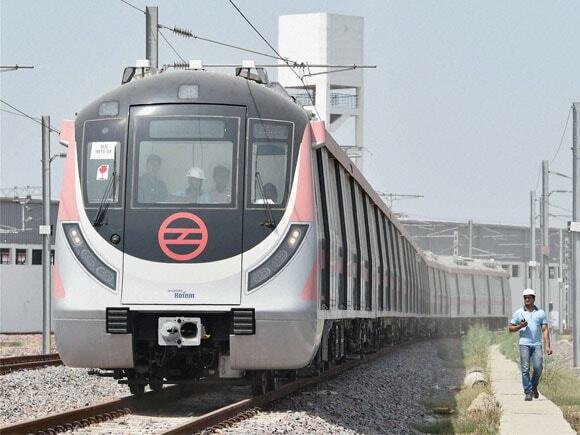 According to Delhi Metro Rail Corportaion (DMRC), protesters jumped on the tracks at the Vishwavidyalaya Metro station at around 12.26 pm and stopped a train. The members of the students wing of the Congress were swiftly removed from the tracks and handed over to police at 12.48 pm. Train services were regulated and were running normally on the entire Yellow line, they said. Thirteen protesters were detained and brought to Kashmere Gate Metro police station.